In the age of social media, LinkedIn is a must for any B2B marketer searching for qualified leads. Although it can be frustrating to generate meaningful leads from social media, insidesales.com has found that when compared to Facebook and Twitter, using LinkedIn results in a higher number of prospects. In fact, effective LinkedIn posts can generate more than 80 percent of your business’s social media leads. One of the biggest marketing mistakes is overtly selling to potential clients in your online content. It may be important to you to announce that you’ve got a new product release or that you’re expanding your services to a new region, but what’s important to potential customers is the pain points they experience when trying to run their businesses. If you can understand these pain points, you can tap into them to produce useful content for your prospects. By useful, we mean content that helps educate prospective buyers or solve their problems. One of the wonderful aspects of online content is that it can be used for multiple purposes and channels. An article that you write for the blog on your website can also be published on LinkedIn. You can also repurpose email content — whether it’s an article, an infographic, or a video — and publish it as a LinkedIn post. A publishing presence on LinkedIn helps improve your credibility among potential clients, as it helps boost your visibility and demonstrate your industry knowledge. Don’t plan to repurpose all of your content, however. You want your audience to experience something new and fresh no matter what channel they find you on — whether it’s social media, your company blog, or your email newsletter. Repurpose essential material and fill in the rest with something original for each channel. As you work to organize content that will turn into effective LinkedIn posts, you may be wondering how often you should post. It’s a delicate balancing act. On one hand, you want to remain relevant, keep your audience tuned in, and generate interest from new prospects. On the other hand, you don’t want to pepper your followers with update after update or come across as overeager to potential clients who are discovering your business for the first time. Thankfully, there are hard-and-fast guidelines to social media posting frequency and they’re laid out in this helpful infographic by Constant Contact. When it comes to LinkedIn posts, shoot for at least two times a week, but don’t post more than five times a week. If you’re posting on social media, blogging and email marketing, it means you’ve got to create a large amount of content to connect with and convert your audience. One of the tips we’ve suggested in the past for effective blogging and email marketing is to create a content calendar, and you can integrate effective LinkedIn posts into this editorial strategy. 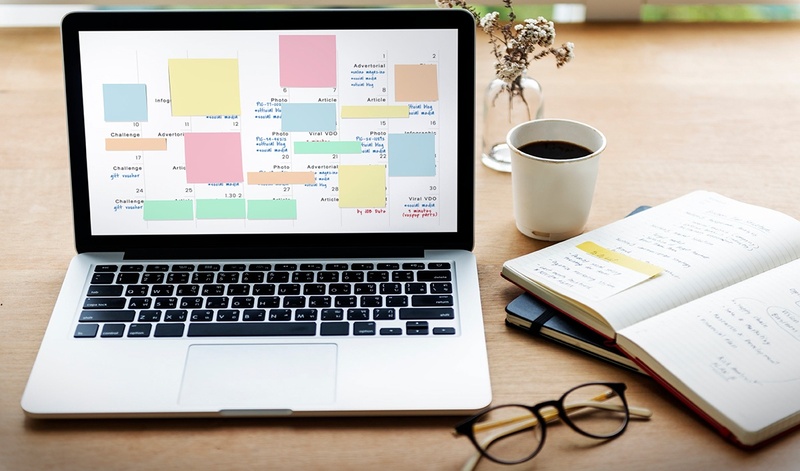 A content calendar, or editorial calendar, consists of general topic categories into which you will place specific topic ideas for articles, videos, or infographics. You’ll lay these topics out in a calendar. In addition to general topics, you’ll also include content that focuses on relevant holidays and upcoming news about product releases or updates. With your content calendar laid out in advance, you’ll never face the struggle of coming up with a last-minute topic when trying to cover your two-post-a-week quota. In fact, as you create content and engage with prospects, this engagement will often lead to questions that inspire ideas for new posts. Creating effective LinkedIn posts isn’t rocket science, but it does take a lot of consideration and planning. By creating content that’s useful for potential customers, repurposing content when you can, posting regularly, and scheduling content in advance, you’ll be able to utilize LinkedIn as a powerful tool for engaging and converting leads. Want to learn more about crafting effective LinkedIn posts? Contact us today!